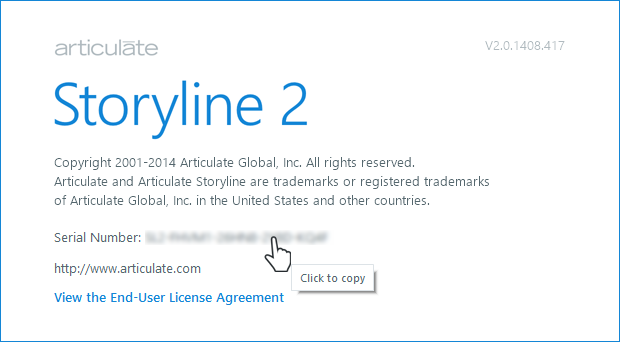 Open an existing Storyline project or create a new one. Go to the Help tab on the ribbon. 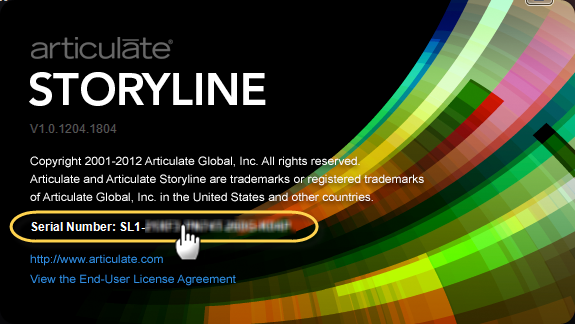 Your serial number will be listed on the splash screen that appears. Click the serial number to copy it to your clipboard. 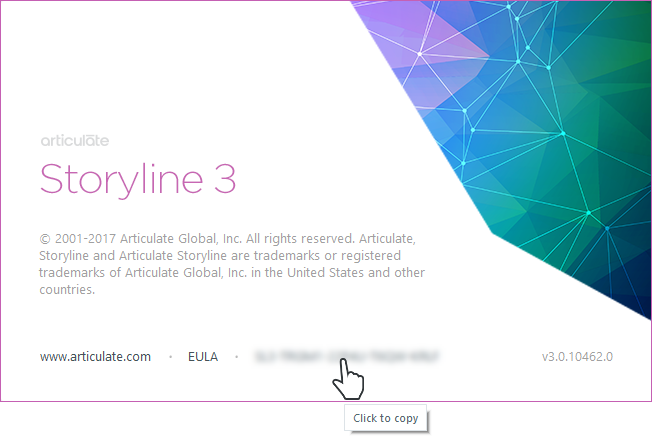 When you're finished, click anywhere on the splash screen to close it.